I took up martial arts studying karate in 1990. I achieved the rank of 3rd degree Black Belt. I competed in karate competition’s for over 20 years winning numerous titles at home and across Europe before I began to train Brazilian Jiu Jitsu in 2008. I have fought amateur MMA since that time. I have coaching certs in wrestling level one, MMA level one from IMMAF as well as completing the SBG coaching course. 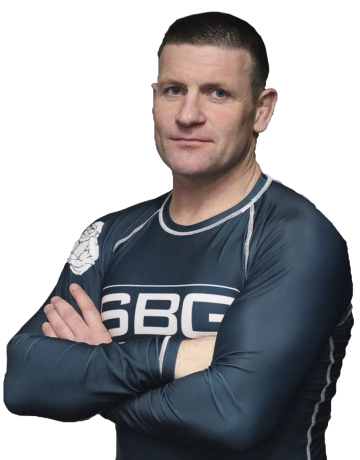 I am currently a purple belt in Brazilian Jiu Jitsu and I teach fundamentals Brazilian Jiu Jitsu at SBG Tullamore. I love coaching at the Gym and cornering my students and team mates at events.